Today we ripped this meme off a blogger called Amber from His Girl’s Blog. She explains that she ripped it off because she had seen it on several blogs. 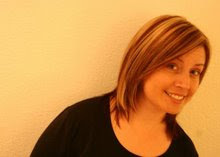 Now, she will see it posted on a lot more blogs. Her meme post gave at least four bloggers (including their links) their props. But, it was probably stolen at EACH OF THOSE blogs as well. So, of course, that will be as far as we go. Tracing back our theft's thieves might take some time. Link back to us at Sunday Stealing! 1. What is something your mom/wife always says to you? 6. How old is your mom/wife? 13. What does your mom/wife do for a job? 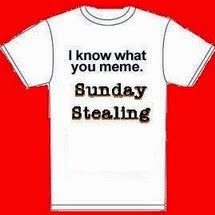 When I found Sunday Stealing, I lurked. Then I put it in my RSS. Then I did one Sunday night, then Sunday afternoon, now it was the first thing I read Sunday morning. 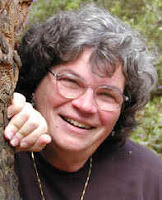 My answers are posted, but I wanted to thank you for this subject this week. My mom has had a very rough week and she's been on my mind a lot. 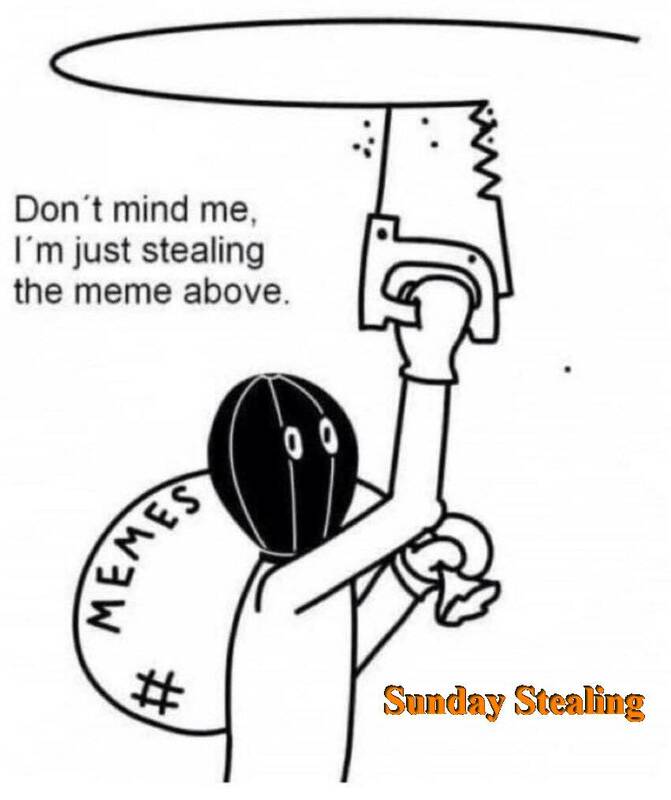 my first time to join Sunday Stealing. This is fun! 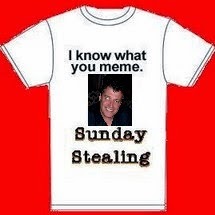 So Sunday Stealing, I'm Thieving on Thursday, because I Like Friday Memes, but I love SUNDAY Stealing! You defo have the best Memes!